Greg Moore Senior Research Associate of Burnley College, University of Melbourne was Principal of Burnley from 1988 to 2007, and Head of the School of Resource Management at the University from 2002 to 2007. With a general interest in horticultural plant science, revegetation and ecology, Greg is particularly interested in arboriculture. He was inaugural president of the International Society of Arboriculture, Australian Chapter, and has been a member of the National Trust’s Register of Significant Trees since 1988 and chair since 1996. 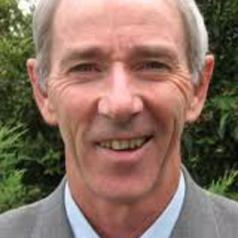 He has served the Board of Greening Australia (Victoria) since 1988 and chaired Treenet since 2005. He is on the board of Sustainable Gardening Australia and is a trustee of the Trust for Nature. He has written two books, contributed to three others and has published over 120 scientific papers and articles.